How does a nation come to grips with one of the most horrific events in its history? 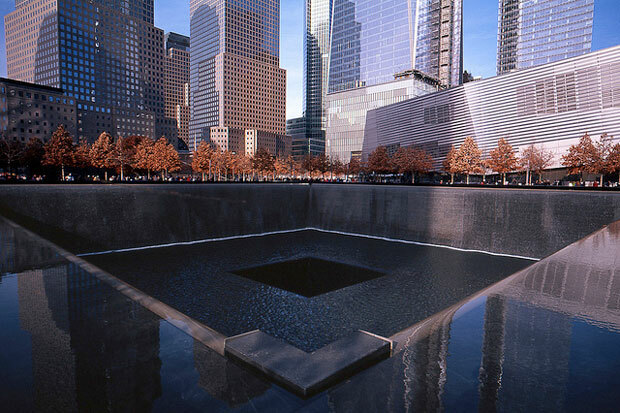 Since the 9/11 Memorial and Museum opened millions of people have visited the expansive underground site to witness the stories and artifacts from the terrorist attacks on September 11, 2001. Attendance has exceeded expectations of museum officials, and it has quickly become one of hte most popular places to see in New York. Because of the crowds, buying tickets online ahead of time is the best choice. Tickets can be purchased up to three months in advance, and visitors can choose a specific date and entry time. Visitors also go through security screening before entry. In 110,000 square feet of exhibition space, located seven stories beneath the surface at the World Trade Center site, the museum brings both a personal and historical context to the day's tragic events. In news reports, many described viewing the 9/11 Museum's exhibits as an emotional, gut-wrenching experience. Given its scope of content, it's hard to imagine it being anything but. The museum is divided into different areas. After descending a gently sloped ramp, the Historical Exhibition introduces visitors the background on the historical and geopolitical events before, during and after 9/11. It encompasses the events at the World Trade Center, the Pentagon, the story of Flight 93, and even the attack on the World Trade Center in 1993. Using artifacts, images, video, first-person testimony, and real-time audio recordings, visitors can view the drama in the hijacked airplanes, the Twin Towers and the Pentagon. There are also riveting accounts of the first responders and civilians who tried to help. It's tough to look away from the video of the hijackers going through airport security, and, if the events of the day weren't enough to bring the horrors home, there's a video behind a wall (which carries a warning of "particularly disturbing" images) showing people jumping from the burning towers. 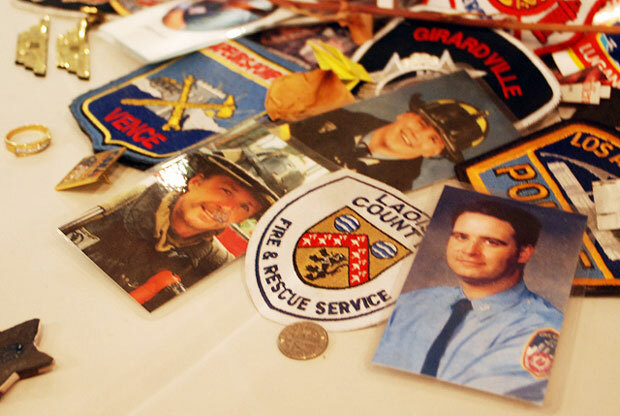 The Memorial Exhibition pays tribute to those who perished in the attacks on 9/11 and in 1993. Walking along the "Wall of Faces," visitors can reach out and use touchscreens to find out additional details about the victims. They include remembrances from family, friends and coworkers. A note smudged with blood that reads, "84th floor, west office, 12 people trapped." Foundation Hall spreads out over a huge space that holds monuments such as the 36-foot-high "Last Column," which was the last standing column in the rubble. It is covered with inscriptions, mementoes and missing persons posters placed by rescue workers and others. Visitors should expect to spend at least a couple of hours viewing the exhibits. The museum has had its share of controversy. The $24 admission price has been called high, some of the displays have been called too hard-hitting, and many have questioned the wisdom of having a gift shop. Plans to open a restaurant with waiters, full meals and alcohol were changed to have a simple café that serves pastries, tea and coffee. Others are upset because there are 8,000 unidentified remains on the grounds, and they object to a commercial operation. The remains have been interred in a tomb behind a wall inscribed with a quote from the Roman poet Virgil: "No day shall erase you from the memory of time." Back on the surface, the 9/11 Memorial spreads out over 16 acres in the footprint of where the Twin Towers stood. The 2,983 names of the men, women and children killed in the attacks of September 11, 2001 and February 26, 1993, are engraved on the bronze parapets bordering the four-sided waterfalls. Visiting the memorial is free and entry passes are no longer required. The 9/11 Museum is open daily from 9 a.m. to 9 p.m. Admission is $24 for adults; $18 for 65 and older, and U.S. veterans and college students; and $15 for children 7-17. Younger children get in free. The memorial is open daily from 7:30 a.m. until 9 p.m. Access is free. For more information, go to www.911memorial.org. Admission to the 9/11 Museum is free on Tuesday evenings from 5 p.m. to close, with the last entry at 7 p.m. A limited number of tickets are available online two weeks in advance of each Tuesday evening, starting at 9 a.m. Same-day tickets are available on a first-come, first-served basis at the ticket windows starting at 4:30 p.m. The memorial and the museum are located at the World Trade Center site in lower Manhattan at the intersection of Liberty Street and Greenwich Street. There's also entry at the intersection of Liberty Street and West Street, and at the intersection of West Street and Fulton Street. Using public transportation is strongly recommended.